When Marlena reached out to me about documenting her birth, I was thrilled. We go all the way back to middle school and, though we hadn't kept in touch beyond being friends on the internet, I was so happy to hear from her. I had a blast documenting her little family at our prenatal documentary session (we spent the session singing, dancing, laughing, and playing -- what fun!) and I'm looking forward to our upcoming postpartum documentary session. Bring on the sweet sister snuggles! Marlena's guess date was July 30th and, when she hired me, I had plans to be out of town for the first half of July. I thought about her often on my trip though I knew she'd be in excellent hands with my associate photographer. When I got home on July 22nd, she still hadn't delivered that babe and I gladly went on-call for her. Fast forward two and a half weeks and the births of four of my other clients' babies, and it looked like Marlena was finally in labor! And she was, but it was slowwww going. Three days later after many updates, I got a message from Liz, her amazing doula, letting me know that I could probably head over to the birth center if I wanted to. I DID want to! So off I went. 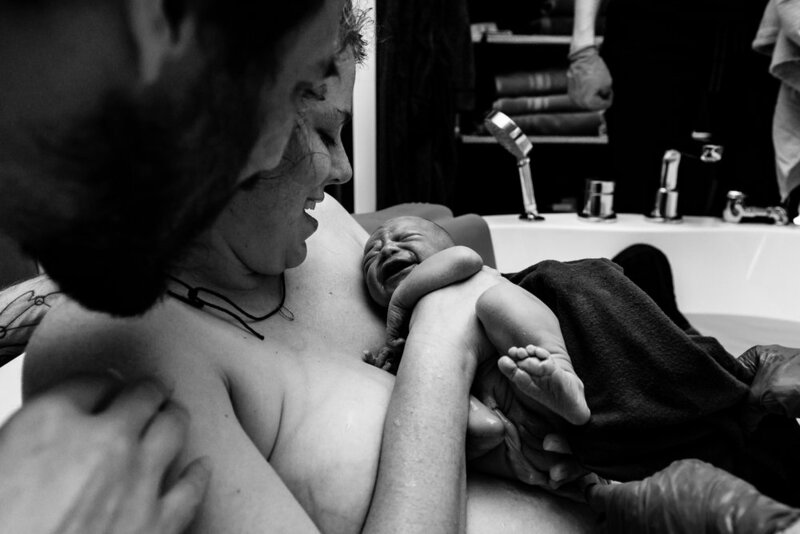 That sweet baby was born less than an hour after I arrived and those short moments before her birth were some of the most joyful and connected moments I've had the privilege of documenting. 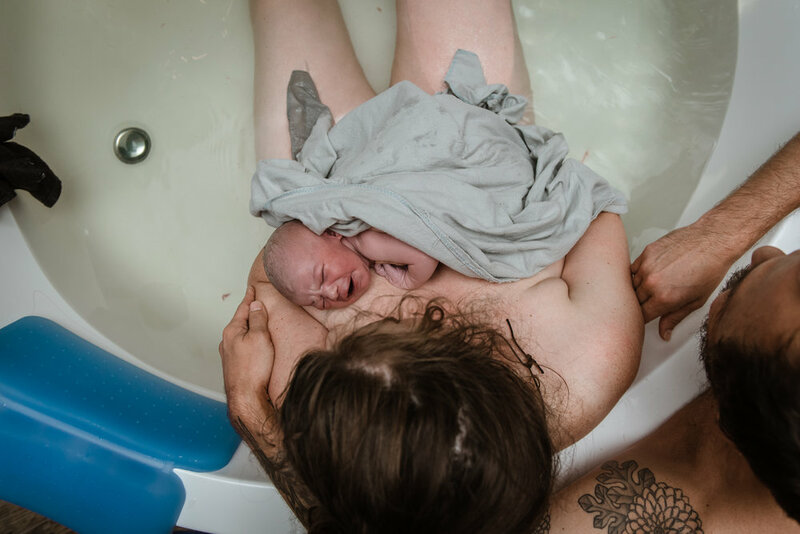 Between her gleeful parents, their wonderful doula, and the incredible staff at the birth center, there was so much love and joy in the room when baby Florence was born. Welcome to the world, Florence Hope! We're so glad you're here! Book your birth session today!